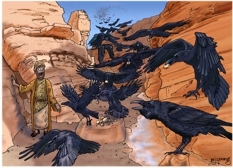 01) (This page) 1 Kings 17 – Elijah fed by ravens – Scene 02 – Kerith Ravine (Dark version). In which the Ravens are deeper blue-black in colour. 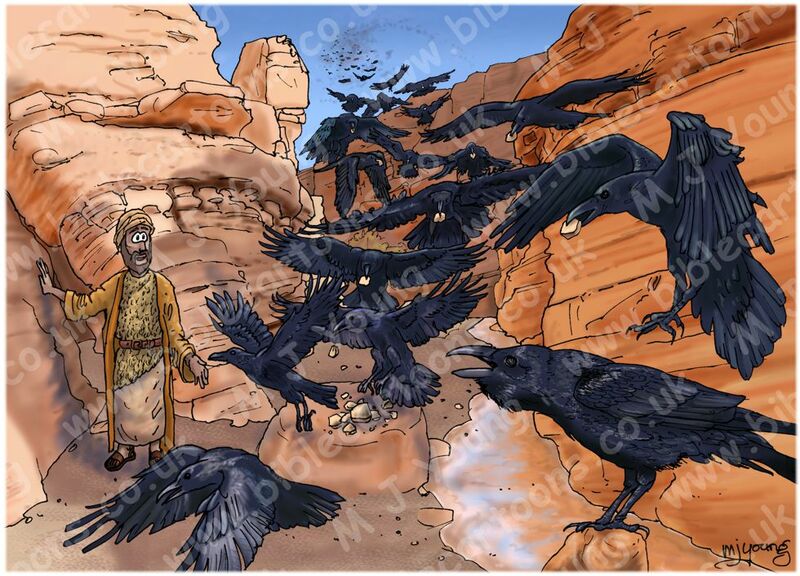 02) (Next page) 1 Kings 17 – Elijah fed by ravens – Scene 02 – Kerith Ravine (Light version.) 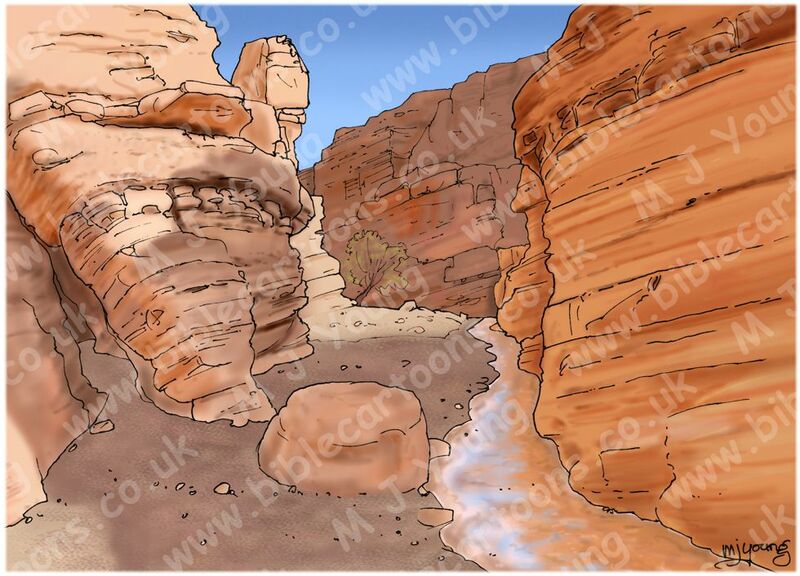 In this version I have made the Ravens lighter blue, so that they project & print better for viewers/customers.